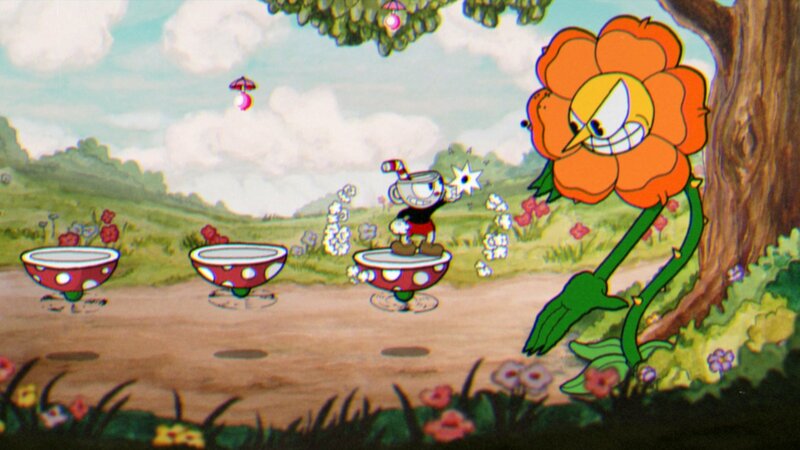 In Cuphead, you’ll play as Cuphead or his pal Mugman (in single player or local two-player cooperative mode) as you travel through strange levels in an action role-playing game-style overworld with some secret areas, earn and acquire new weapons, learn powerful super moves, and discover hidden secrets while you try to pay your debt back to the devil! In the game, you have infinite lives and you’ll get to keep your skills and weapons between deaths. Aside from weapons, your character also has a parry ability that you can use by parrying various color coded objects to fill up a special meter that will enable your character to perform a special move to help progress through various battles. Right now, according to Steam Spy, there are about 115,000 people on Steam and it’s averaging a 10/10 rating there. Then, there’s Cuphead‘s rating on Xbox/Windows 10 PC at 4.3/5, and Good Old Games (GOG) at 4.8/5. You can purchase Cuphead on Xbox One, Windows 10 PC, Steam and GOG for $19.99, and thankfully this game is getting the critical love and the sales figures it deserves. It’s probably safe to say that the sales numbers and audience numbers will grow considerably over the next few months.